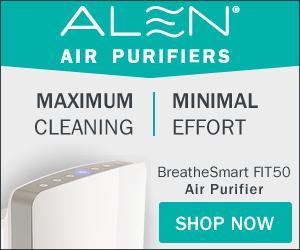 A short time age we published a review of the Air Oasis line of air purifiers. Our initial Air Oasis review covered the units in depth along with a real world test. We wanted to bring everyone up to speed on the new 3rd generation Air Oasis air purifiers that just became available and is in stock over at our BHI site. Dubbed the “G3” series, the new models are available int he 1000, 3000, and 3000 Xtreme styles. Dimensions stay the same, but for some reason, Air Oasis is now calling them “counter top” models. I believe this is because of the much smaller size than competing units of same air purifying capacity. Indicator light added to power switch. The reduction in power requirements is a great breakthrough, especially for a PCO UV air purifier. We have already shipped several of the new style and our customer follow-ups indicate positive response. In addition two members of our staff are began testing the G3 units and find the results at least equal than the older models, even with the reduced power requirement.